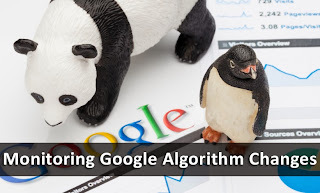 How To Monitor The Latest Google Search Algorithm Changes? So as most of you might know, Google made yet another update to its PageRank algorithm recently, and we saw improvements on our sister blogs. SmartEarningMethods now has PR 3, whereas our new blog RichIncomeWays has jumped from Nil to 2 PR! The PR for MBT remains 5. This update comes much later than expected, which left us wondering when the next algorithmic change will come again. Keeping up with these changes is a big part of being a blogger and a webmaster, so today, we'll talk about resources that'll help you keep track of Google Search Algorithm changes. As the absolute largest and most popular search engine on the Internet, the Google algorithm has gone through many generations of changes over time — and as of today Google’s algorithms use over 200 “clues” to identify the most relevant websites, including terms on website pages, where the person entering the query is located, the Page Rank of the website, how fresh the page content is, and much, much more. Weblogs are a great way of sharing information without having to worry too much about handling the technicalities. And so, they are an excellent way of finding information as well. There are various SEO Blogs out there, some by Google or Google employees. One of the most important ones is Google Webmaster Central Blog. Here, you will find official information from Google regarding major algorithm changes. Another blog you should follow is the one managed by Google's Head of Web-spam Team, Matt Cutts. These two blogs should keep you posted with the latest news, or the newest best practices, along with useful advice. You can also search for SEO blogs on Google, and start following them. Moz, previously SEOMoz, is the industry leader in SEO, and has a couple extremely useful resources for your disposal. This should be the first place you look at. It shows all the latest changes, big or small, Google has made to its search algorithm. Google usually adds or removes certain 'clues' that determine a website's rankings. This change history will cover most of the important ones, hence making it the most valuable resource available. Google Webmaster Tools is your best friend when it comes to monitoring your own site's progress. You can use that progress to check out whether the search algorithm is going through a tough spot or not. You will be surprised at the amount of information you can glean from your own site's statistics. nice tips! i run on one seo contest recently and i found that my article was going down after leading top #1 for some period. i thought that was the effect of pagerank update, but it actually the google algo had changed. need to study more about the new google algo. I am really surprised my healthcare blog with useful information in it has been demoted by Google from PR 3 to 2. Unable to know the reason. It has all the fresh content in it.